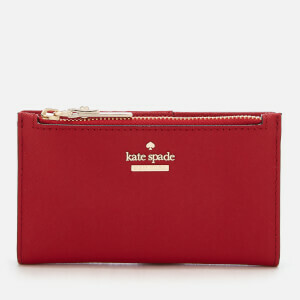 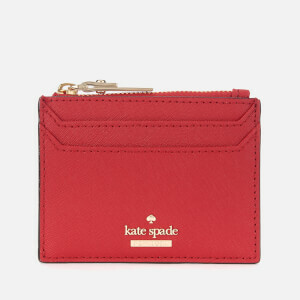 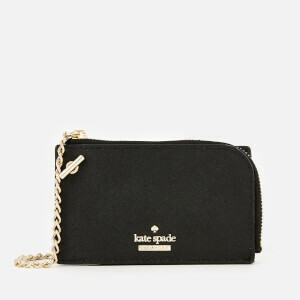 Women’s ‘Ivey’ purse from Kate Spade New York. 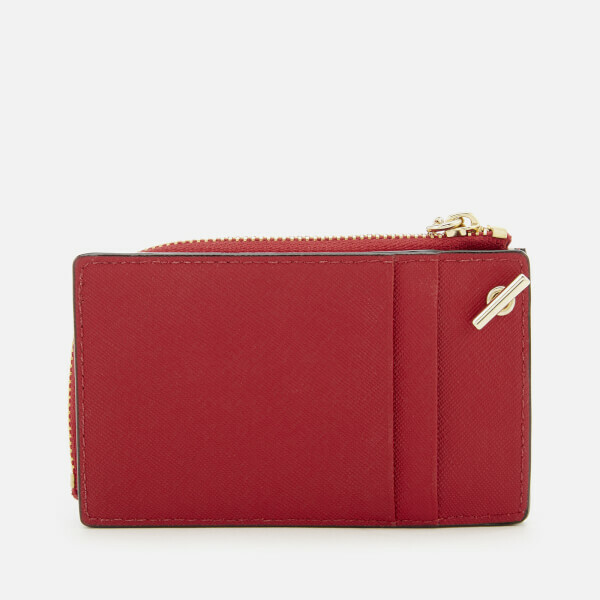 Crafted with premium crosshatched leather, the red wallet comprises a dual-structure design that attaches with a pivoting metal tag. 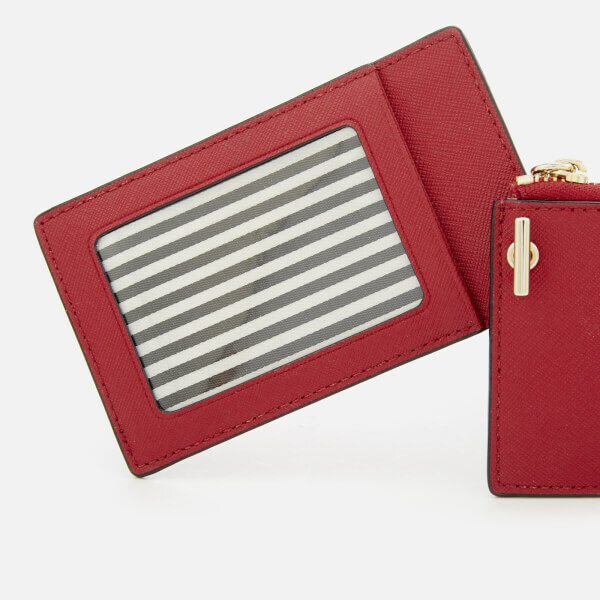 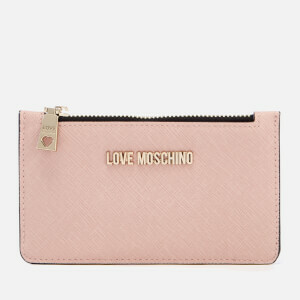 The zipped coin pouch is lined with monochrome striped fabric and contains a keyring, while the cardholder boasts an ID window at the reverse. 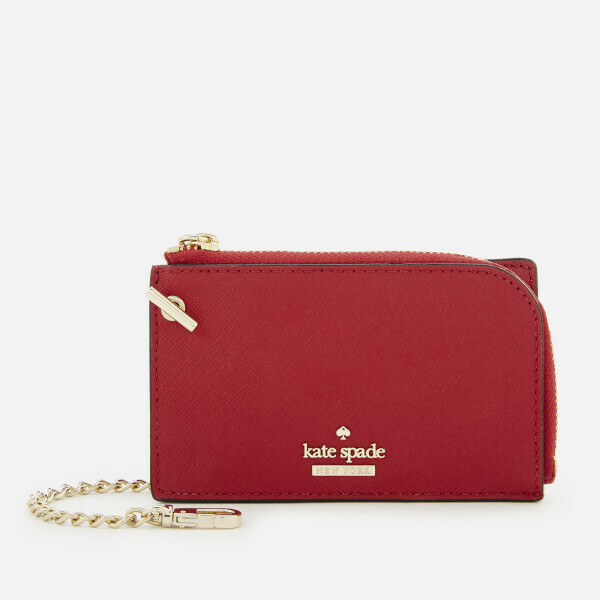 An elongated chain with a dogleash clip allows you to carry the purse wherever you go. 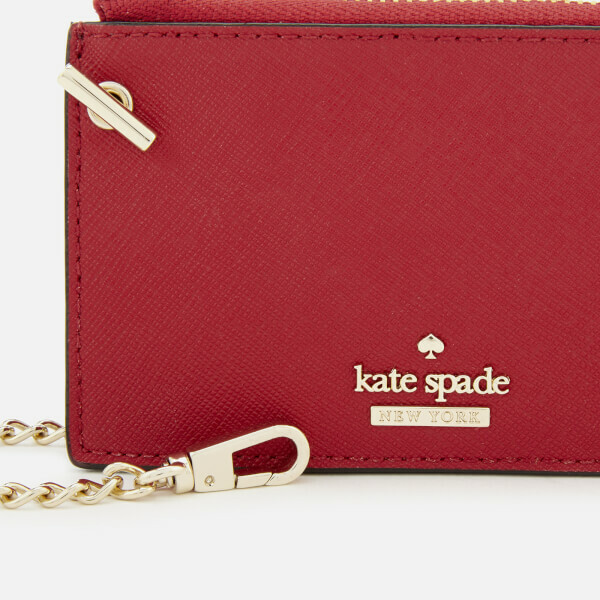 Gold-tone logo detail adds the finishing touch.